As a member of an Air Force family, Fr. Tony lived in many places around the world, but he calls San Antonio home. He earned his Bachelor of Arts degree in Political Science from UTSA, a Master of Divinity from Oblate School of Theology, and completed his Licentiate in Canon Law from Catholic University of America in Washington, D.C. He was ordained on May 17, 1996 and began his priestly ministry at Notre Dame Catholic Church in Kerrville. He also served as pastor at St. Rose of Lima in Charlotte and Tilden, St. Mary’s in Fredericksburg, St. Francis Xavier in Stonewall, and St. Ann’s in La Vernia. While serving as pastor of St. Mary’s, he helped give new life and a bright future to their Catholic school, increasing student enrollment four consecutive years and conducting a successful $4.5 million capital campaign to build a state-of-the-art gymnasium and community center. Fr. Tony was appointed to the San Fernando Cathedral in June 2008. Upon his assignment, Archbishop Jose H. Gomez stated, “His ability to bring people together, developing in them a sense of unity and purpose, will be invaluable as he works with the people of San Fernando, while recognizing their authentic love for God and Church.” During his time at the Cathedral, Archbishop Gomez appointed Fr. Tony as the Vicar for Clergy and Consecrated Life of the Archdiocese. After Fr. Tony earned his Licentiate in Canon Law in 2013, Archbishop, Gustavo Garcia-Siller appointed Fr. Tony to the Tribunal Office for the Archdiocese where he continues to assist today. The Archbishop assigned Fr. Tony as pastor of St. Francis of Assisi effective July 1, 2016. Fr. Krzysztof, or Fr. Kris as he is fondly called at St. Francis of Assisi, was ordained to the priesthood on June 2, 2001. Following his ordination, Fr. Kris spent six years in his native Poland before settling in Peru for eight years beginning in October 2007. During his time in Peru, Fr. Kris became adept at speaking Spanish. Once his time in Peru was up, Fr. Kris returned to Poland to prepare for his next move to San Antonio. While in Poland, Fr. Kris was fortunate enough to go to World Youth Day in Krakow. In August 2016, Fr. Kris arrived at St. Francis of Assisi. He lists learning how to speak English as the most challenging part of adjusting to life in San Antonio, but he enjoys serving at our parish and appreciates how well organized everything is here. 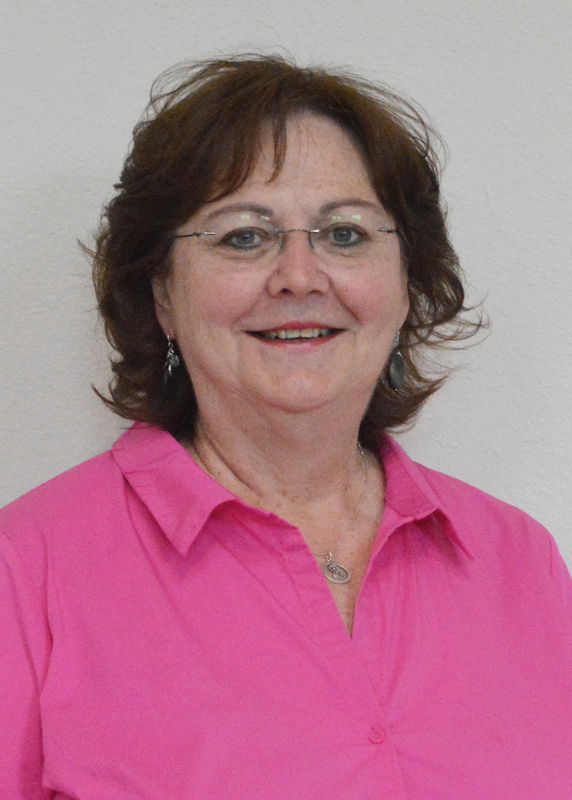 Sister Rose has served as Pastoral Associate since June 2009. Her job is comprehensive, relating to all aspects of parish life. She collaborates with the leadership team in administration, spiritual life and worship, education, pastoral services, strategic planning and mission effectiveness. Sister Rose enjoys identifying ways to build on our parish strengths to create more opportunities to know, love and serve God and our neighbors. She is an enthusiastic contributor of ideas for growth in our parish. Sister Rose earned a MS in Management and Organizational Behavior at Benedictine University in Lisle, Illinois, a Masters in Theological Studies from Catholic Theological Union in Chicago and a Masters in Education from Our Lady of the Lake University in San Antonio. When she’s not at St. Francis of Assisi, Sister Rose spends time with her religious community, the Sisters of Divine Providence, sees movies, attends workshops and classes (yes, she is a continuous learner), and searches for innovative, best practices in organizational life. 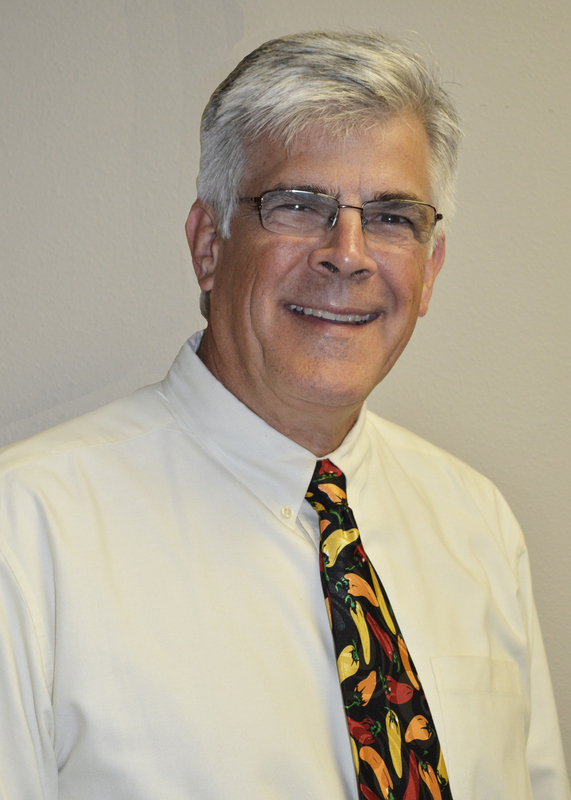 Stephen has served as Director of Administration since October 2013. His position provides administrative and pastoral leadership for the employees here at SFA. He is responsible for overseeing our facilities and the beautification of our campus grounds. Stephen is also the contact for scheduling events that our many ministries and organizations plan throughout the year. Stephen earned a B.A. in Philosophy from the University of Dallas in Irving, TX and a Bachelors in Sacred Theology from the Gregorian University in Rome, Italy. 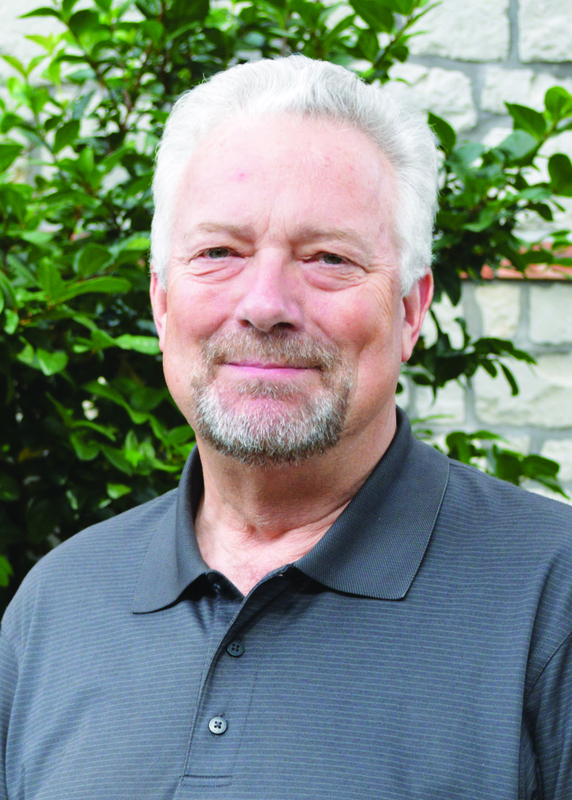 Before moving to San Antonio in 2000, he served for over 15 years in parish life in Louisiana, particularly in the areas of adult formation and education. Stephen is married to Judy Brown Wright, a very active parishioner and volunteer at St. Francis. Stephen enjoys sports, walking and jogging with his dogs, reading and listening to music. Larry Perry has served as Director of Faith Formation Ministries since July 2015. In this role, he leads the faith formation staff and volunteers. In addition, Larry is responsible for the adult and young adult faith formation programs and offerings, including our parish missions, Small Church Communities, reconciliation services, and liturgical planning. He loves being a life-long learner in theology, scripture, and spirituality as well as developing and teaching classes for our adults and young adults. He has served as a member of the RCIA team for more than 25 years and has assisted numerous ACTS retreat teams as a team member and as the spiritual companion. Larry holds a Master of Divinity degree from Oblate School of Theology in San Antonio. He also holds a diploma in theology from St. Patrick’s College, Maynooth, Co. Kildare, Ireland and a diploma in philosophy and theology from St. Patrick’s College, Thurles, Co. Tipperary, Ireland. In addition to his work on the faith formation staff, Larry serves as a member of the teaching staff for the ACTS Spiritual Companion Formation Program at Oblate School of Theology. When not at St. Francis, Larry enjoys spending time with family and friends, reading, working out, and playing golf. Monica began serving in youth ministry at St. Francis of Assisi in September 2001 when she volunteered to be a core member for Life Teen. 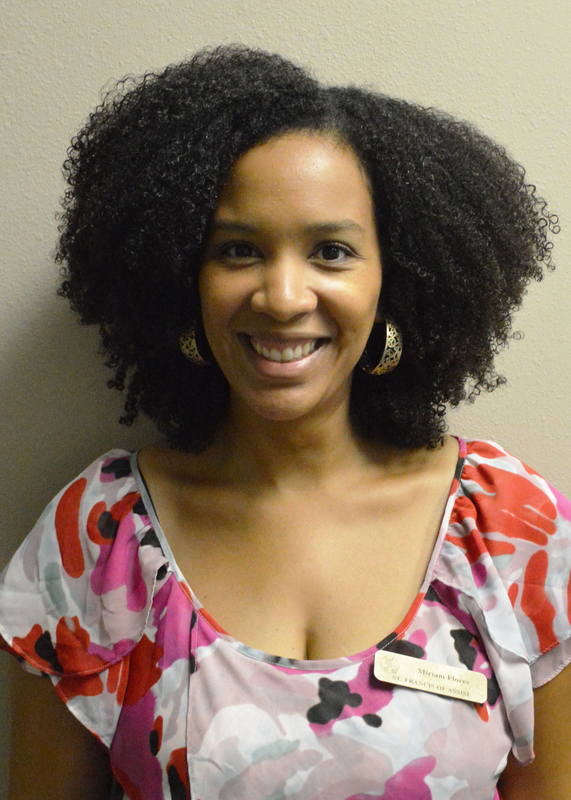 She joined the staff in June 2004 and currently serves as the Director of Youth Ministry. She is responsible for coordinating activities for middle school youth, high school teens, and college-age young adults that provide opportunities to grow in their faith and to put it into action. The focus of youth ministry is evangelization and participation in the strong Sacramental life and beliefs of the Catholic Church. Monica earned a B.B.A. in Human Resource Management from St. Mary’s University in San Antonio. This background has helped her in recruiting, training, and managing volunteers. 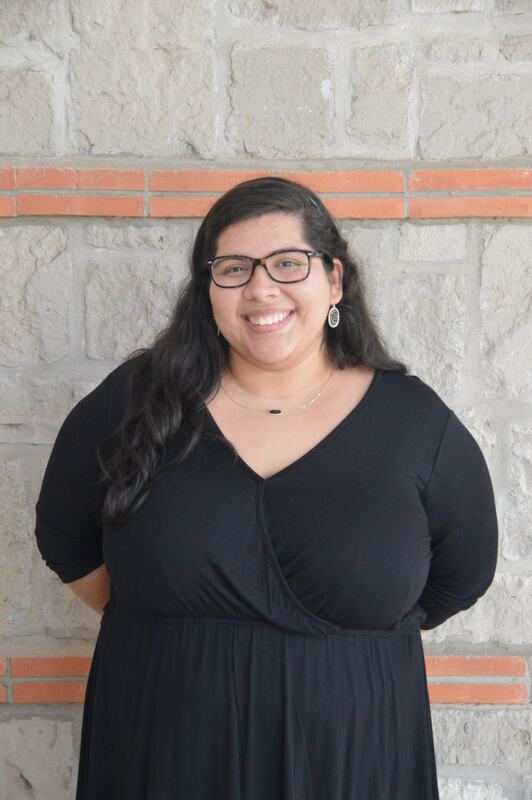 She is also a Certified Trainer for Life Teen and serves as the Texas Area Coordinator for Life Teen which allows her to meet and pray with youth ministers around the state. When Monica is not at the parish, she enjoys spending time with her husband, Tom. They were married at St. Francis in 1998 when Henke Hall was our church sanctuary. They have a fur baby named Bailey whom they spoil with doggie toys, hugs, and kisses. 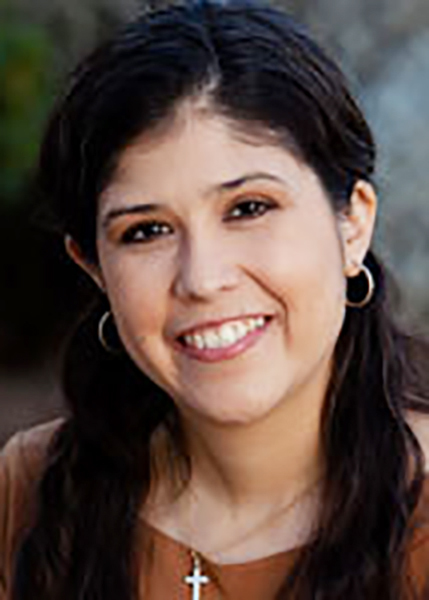 Miriam has served as the coordinator for Elementary Faith Formation since May 2008. Miriam’s role as coordinator is to assist parents in forming their young children in the Catholic faith. Miriam recruits and trains catechists, oversees the instruction of an approved Catholic curriculum, and leads the Sacrament Preparation process for Reconciliation and Eucharist. She finds great joy working closely with parents, children and catechists. 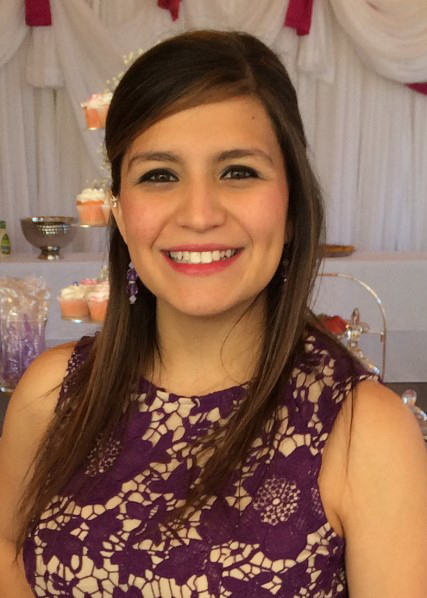 Miriam earned a Bachelor of Arts in Spanish from Rice University in Houston. She is a level 1 Certified Catechist in the Archdiocese of San Antonio, and is a certified teacher in the state of Texas. Miriam continues to advance her knowledge in the field of catechesis through regular professional development opportunities. When Miriam is away from St. Francis she is enjoying family life with her husband Andy and their four children. Miriam enjoys cooking and loves running into St. Francis parishioners at HEB. Her current hobbies include watching her three girls perform in dance and chasing her toddler son around. Vonique, also known as Nikki, has served as Bookkeeper since January 2015. Her role is vital in the responsibility for handling the fundamental aspects of our parish’s financial recordkeeping. Vonique enjoys working analytically to better serve our community with our treasures. She promotes the use of monetary support as a resource to live out God’s mission. Vonique earned a B.A. in Psychology and a B.A. in Sociology from Texas A&M University—Kingsville. She acclaims her highest honor as being a baptized Catholic. She continues to be revived in His light and summoned with the fire of His spirit. Vonique recently married her husband, Rony. She enjoys dancing, singing and watching stage plays. With her husband, she plans on beginning a high school/young adult ministry to spread the Word of God. Maybe one day open up a missionary camp. 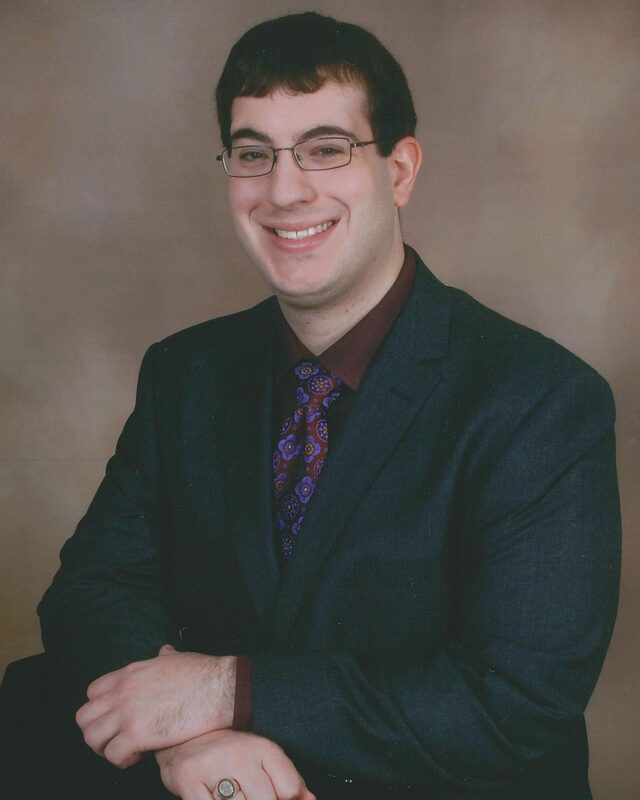 Kenneth joined the parish staff as Administrative Assistant in October 2015. In September 2016, he was appointed Director of Communication. His job exists to encourage participation in parish life, a goal accomplished by promoting respective opportunities through diverse print and digital media. Kenneth earned a Bachelor of Arts in History and Communication and a minor in Political Science from Trinity University in San Antonio. Throughout his four years at Trinity, Kenneth advanced on the university’s newspaper staff, starting as a reporter and graduating as an editor. When he is not at St. Francis of Assisi, Kenneth enjoys playing tennis and hiking, if allowed by the often unpredictable Texas weather. You can usually find him at the movie theater whenever the newest blockbuster premieres. He also likes hanging out with friends or relaxing with a good book. Natalie joined the parish staff as Administrative Assistant in February 2016. In addition to her administrative skills, Natalie brings a professional, welcoming presence to our office. Natalie is a proud San Antonio native who loves arts and crafts. She also loves dogs, and she enjoys traveling. Bianca has worked at St. Francis of Assisi as an administrative assistant since June 2016. She started off part-time and made the transition to full-time in late September 2016. In the summer of 2017, she left for a year of service in the Philadelphia-area with Franciscan Volunteers – No Risk, No Gain. She returned to the St. Francis staff in the summer of 2018. She helps schedule baptisms, maintains the sacramental records, and makes sure the parishioner database is updated and correct. 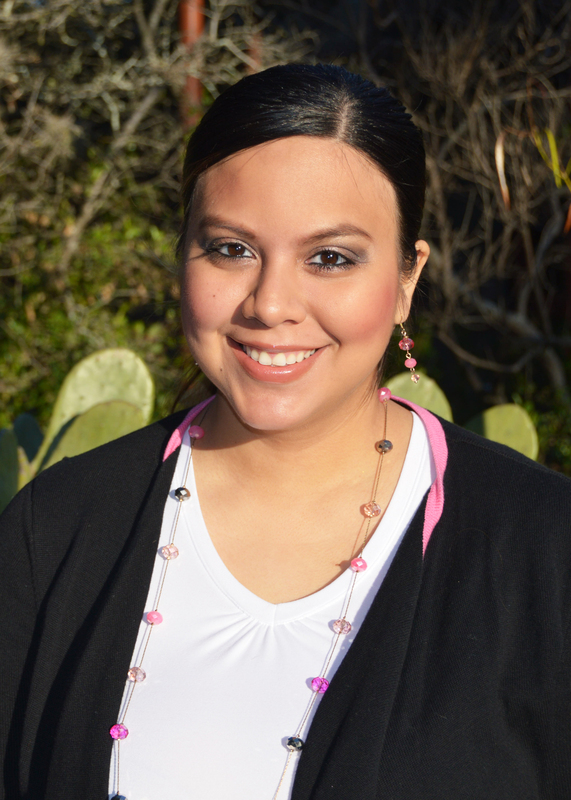 Bianca earned a Bachelor of Arts in English and Theology from St. Mary’s University in San Antonio. She plans to go back to school to earn her Master’s degree. Bianca is very passionate about justice and strives to live her life with God at the center guiding her where she needs to be. When she is not at St. Francis of Assisi, Bianca loves to go thrift shopping. You can also find her sleeping, crocheting, reading, and binge-watching shows on Netflix. She also likes to travel and learn new instruments. So far, she has basic knowledge of the piano, ukulele, and recorder.